Guided tours are available Tuesday through Saturday and last approximately 1 1/2 hours. Tours include entrance into the exhibit, William Penn: Seed of a Nation, an orientation video, and a guided tour of the Manor House and Kitchen House. 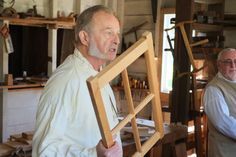 Group tours of Pennsbury Manor are available by reservation and must be made in advance. Tours include entrance to the exhibit, William Penn: Seed of a Nation, an orientation video, and a guided tour of William Penn’s Manor House and the Kitchen House. Guided tours last approximately 1 ½ hours. Admission for group tours is $7 per person. As the only historic site in the country that relates specifically to William Penn, his contributions to Pennsylvania, and his impact on American history, all of our educational programs offer a hands-on approach that allow every student an opportunity to be actively involved in the learning process. School programs are available by reservation and must be made in advance. 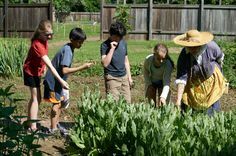 Take an electronic field trip to Pennsbury Manor and learn about William Penn, the founding of Pennsylvania, and life in the 17th Century through informative and interactive programs. Enjoy a visit from William Penn. Programs offer students a chance to meet William Penn and learn first hand about life in the 17th Century. Explore three centuries of gracious living along the Delaware River in Bucks County. You provide the bus and we provide the step on guide to accompany you on your journey.